The following is a review of Acts To Revelation from Drive Thru History® with the TOS Homeschool Review Crew. 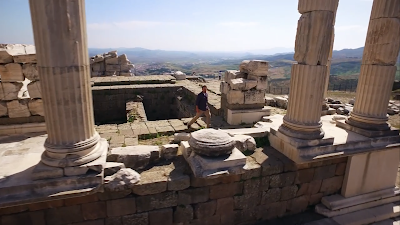 Drive Thru History® -"Acts to Revelation" continues where "The Gospels" ended to take the viewer on a tour of places from the New Testament.The World of the First Christians is a DVD set with eighteen thirty-minute episodes and a bonus study guide. Dave Stotts adds a cool red convertible to his borrowed Jeep for these new excursions, and even takes a boat on the beautiful blue waters of the Mediterranean. He ended the series taking us along with him in a sixty year old Mini Moke upon the Isle of Patmos. 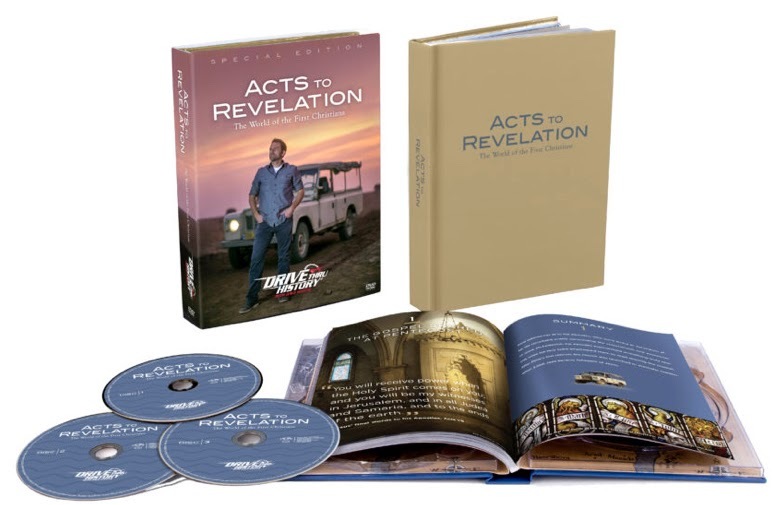 These DVDs show evidences of the truths shared in Scripture. We heard about Nero earlier this year. In the last CD of this set, we saw where that evil man ruled. These DVDs are a history lesson, but they are so much more than that. All of the components that make lessons complete are included: maps, historical figures, artifacts, and references are all shared in beautiful detail with extra benefits of music and narration. There aren't photographs of Jesus and his disciples of course. Instead, drawings, stained glass, and famous works of art are shared depicting each person discussed. Paul is the primary subject of this series, as he was the author of most of the books of the New Testament. Some of the unfamiliar words are added as captions on the screen as they are used. Insulae, for example, was a type of housing Paul stayed in during a time he was under house arrest. Suggested readings from the Bible are also included. Our entire family has been enjoying watching this DVD series together, even Grandmommie who enjoyed it so much she took our other Drive Thru History CDs to her own house. We also read and discussed the included study guide. The format is easy to follow. 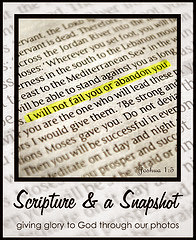 Each episode has a corresponding six page lesson including the episode title, a related quote, a concise summary, five discussion questions, Scripture references to read, "side road" related facts, and stunning pictures. Answers are now provided to the discussion questions in the back of the study guide for each family to interpret and discuss. You can also find them online on Facebook, YouTube, and see the amazing pictures on Instagram. Read other crew reviews by clicking the link below, and you can also click to read my review of Drive Thru History® - "The Gospels" which he also refers to in this series.